Irish Left Review is a superb site for all kinds of left wing discussion on issues such as crime and justice, education, health and media, amongst a vast array of other issues. But where it shines best is in the area of promoting and provoking left wing economic debate. Michael Taft, who baulks at being called an economist but is certainly one of the foremost left wing Irish bloggers, includes the always-readable and eternally-useful "Recession Diaries" on both his own blog - Notes on the Front - and ILR. His most significant intervention into the debate on the current series of economic and fiscal crises came with a 10-point plan entitled 'Towards a New Economic Narrative.' It is, for me, the first significant attempt to provide not just a left critique of the last few months, but to provoke debate on a new way forward for left economics arising out of it. Do with these proposals what you will. Improve on them. Come up with better ones. Add and subtract. But it's worth reading in its entirety for anyone even mildly interested in how to get out of this mess - and let's face it, that's all of us. It's worh noting that this is not a fait accompli. Michael podcasts on it here to explain that this needs to be the start of the debate, not the end. And the first major response is similarly significant. Terrence McDonough, of the NUIG Economics Department, responds here to note that "[o]nly socialism will get us off this long run roller coaster." Even Dan Boyle of the Greens has made a response, putting great faith in the ongoing Commission on Taxation to resolve the outstanding inequities in the taxation regime. The most important thing for us all, though, is not merely to read the opening volleys of the debate, but to put our own views forward. The trained economists, the stockbrokers, hedge fund managers, professors and department heads got us into this with little warning - so it's clear that academic or other expertise is not required to take part in this broad debate. What is needed, right now, is a new commitment to an economics of equality that leaves neoliberalism confined to the history books. How we achieve that is a question for us all. Labour's Dermot Looney, a candidate for next year's local elections in the Tallaght Central Ward which includes Greenhills, Templeogue and Tallaght, leads delegates in singing "The Red Flag" at the Labour Party Conference in Kilkenny on November 30th. 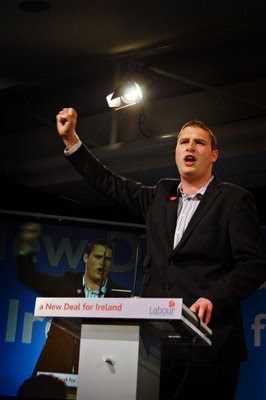 "The Red Flag," written by Jim Connell from County Meath, is an international socialist standard and was adopted as the official anthem of the Irish Labour Party on Looney's proposal in 2007. 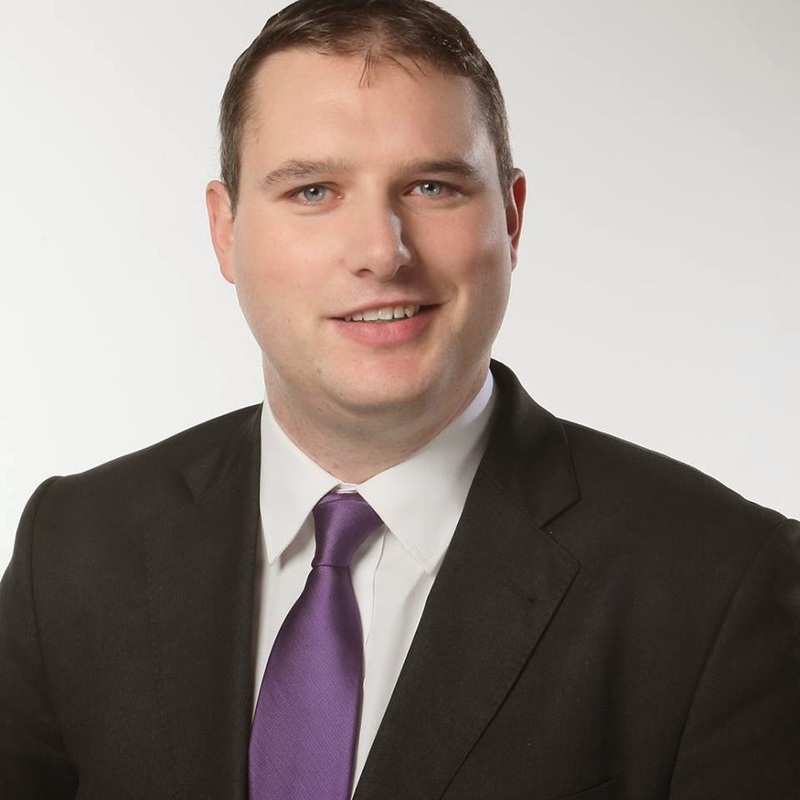 Looney, who is an avid folk musician and singer and whose influences include Christy Moore, Luke Kelly and Billy Bragg, was featured on RTÉ's 6.1 News leading the thousand delegates in closing the Conference.